Any new regulations that EU states would want to impose in future are now facing considerable barriers and hurdles that could take years to negotiate and the system is clearly being designed to be onerous and just plain difficult to favour corporate interests above public interest. Corporate Observatory, whose raison d’être is exposing the power of corporate lobbying in the EU has recently published its latest report “Dangerous Regulatory Duet” which exposes how a new framework being implemented under regulatory cooperation through TTIP will allow bureaucrats and big business to attack the public interest. Recently, the European Court of Justice struck down the so-called Safe Harbour agreement, which was concocted under what is termed “regulatory cooperation”. The Court argued that the agreement did not safeguard citizens’ rights to data privacy. 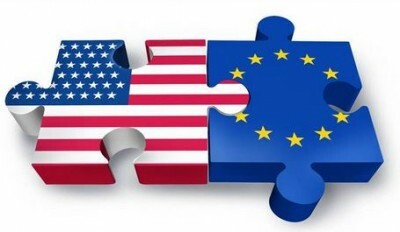 In 2004, big US financial institutions managed to secure an agreement that would allow them to operate in the EU while being monitored by US supervisory authorities. As a consequence, when the financial crisis reached its peak in 2008, it was revealed that neither US nor EU financial authorities had any idea what assets the US insurance giant AIG had on its books. The collapse of this corporation marked a key drama in the crisis, and led to a bailout of 186 billion dollars. A proposal on ‘electroscrap’ chemical waste was watered down in 2002. It can be argued that the precautionary principle was sidelined in this case, as the final version made it impossible for member states to adopt a ban even when a substance is deemed dangerous. A proposal to move faster on ozone-depleting substances was struck down in 2000. The EU’s ban on testing cosmetics on animals, ready to adopt in 1993, was delayed for 15 years thanks to ‘regulatory cooperation’. EU climate policy has also been targeted. The EU’s 2013 proposal that airlines should pay for emissions was immediately attacked and effectively stopped by the US. Although the idea of ‘pricing carbon’ in this way was never a promising solution, the affair shows that ‘regulatory cooperation’ can also be dangerous for climate policies. Ambitious proposals may not even be tabled by the Commission if they go against the interests of US corporations. Certain Commissioners and their civil servants have more clout, especially those working on trade and industrial policy. Conversely, those parts of the Commission entrusted with for example environmental matters are weakened. The European Parliament is disempowered, will have a harder time being heard by the Commission, and will have less influence over the implementation phase of rulemaking. The power of bureaucrats in the EU institutions is boosted, and they are allowed to make crucial decisions on existing and future regulation. Last but by no means least, ‘regulatory cooperation’ can lead to decisions that sidestep cornerstones of existing EU legislative acts, and even the Treaty on European Union. These are just a few of the issues being raised not just by Corporate Observatory but by pressure groups, petitions and activists, none of whom are being recognised as more representative of the people of Europe who are unanimously agreed on one thing – TTIP is a bad thing for the people of Europe. This agreement undoubtedly has profound implications for hard won democratic rights all over continental Europe. It comes to something when one has to rely on Wikileaks, whistleblowers and alternative news outlets to find out what is happening behind the closed doors of politicians, who can only be seen as corrupt in every sense of the word. This treaty is unlikely to be passed in 2016 but after decades of work by the American administration and the unelected bureaucrats of the European Commission it has already raised some very serious questions by the public about where the power of the world really lies today. Cleary, that is no longer at the ballot box but in boardrooms.